Why Buy a New CTS-V When You Can Buy 8,000hp For Less? That’s only $10 per horse compared to the Hellcat’s $85 per horse. You do save when you buy in bulk! 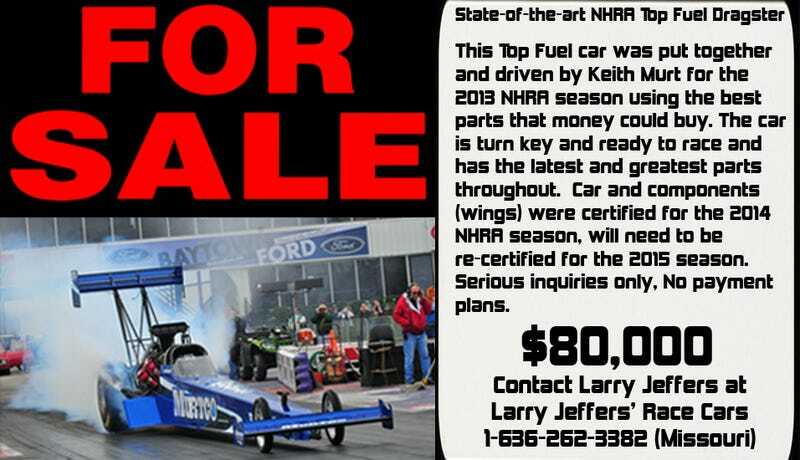 Maintenance is going to dent the wallet a bit, as a modern Top Fuel teams spend about $5-10th per 1/4 mile run. Expect to spend at least $100,000 just to get to work and back.